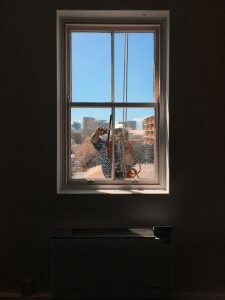 Crazy Clean Cleaning Service is a Melbourne-based licensed cleaning business, specialising in window cleaning for large and small customers, both domestic and commercial. Crazy Clean was established in 1993 after founder David Camille saw a lack of genuine and enthusiastic customer service in the cleaning industry. This need saw David start a company that is completely centred on creating a great experience for all of Crazy Clean’s customers through his expertise and industry-leading customer service. Starting with just one man, Crazy Clean has steadily grown over the last 21 years, offering a range of cleaning services to customers of all sizes. Over the years, we have satisfied thousands of clients with our prompt, professional and attentive cleaning. Our cleaners are all well-trained and fully insured to ensure the most effective and safe results for our customers. Crazy Clean has developed a flourishing license cleaning business, with strong growth across Victoria – and our sights are set on expanding across Australia in the coming years. Our mission is to lead through excellence. We strive to make the cleaning industry as recognised and respected as any other trades in Australia. But more than that, we want to create working opportunities for all Australians, passing on our skills and knowledge to create a committed and expert Crazy Clean Cleaning Services family around the country. We offer a unique and supportive license program to those who aspire to grow their own business under a respected and recognised industry brand. Sound interesting? Click here to find out more about starting a cleaning business with Crazy Clean.